Grow Ministries wanted to provide our young adults with a resource for when they meet together, and to encourage them as they journey in faith together. 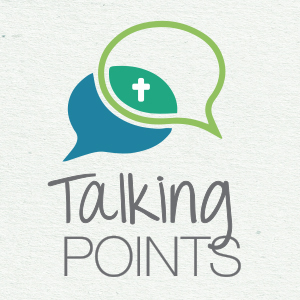 This new resource is called ‘Talking Points’. It has been designed for young adults as a guide for them as they discuss a range of topics. Grow Ministries has been extremely blessed to have a pilot group of young adults who road tested Talking Points. This group meets weekly at Golden Grove Lutheran Church in South Australia and members call their meeting time Apply, in the understanding that their Bible studies and discussions will be applied to their day-to-day lives. Volume 1 and 2 available now. Can we earn our way to God's love? How do we live an authentic faith?